Data collected for e-health must be useful information to clinicians and system managers otherwise it is not worth collecting and providing, NSW Health’s chief information officer has told an information industry forum in Sydney this week. 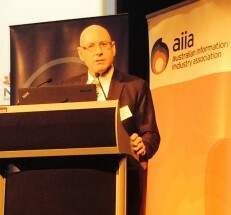 Michael Walsh, who is also the newly-appointed CEO of the government’s two-month old e-health entity, was giving an update on the state’s 10-year $1.5 billion e-health strategy to the Australian Information Industry Association’s state healthcare forum on Wednesday. Mr Walsh gave a glimpse of the thinking in eHealth NSW’s forthcoming draft strategic plan, which, while originally due in August, would be released later this year for public consultation, he said. “When we look at the areas we need to focus on we need to make sure we have the right functionality, the right availability, the right usability and that it is information we are in the business of, not just data,” Mr Walsh said. Highlighting the federated model of eHealth NSW, which comprises 17 local health districts, four pillars, two speciality networks and other agencies, Mr Walsh said the intention of the organisation was around partnerships. He said the appointment of a clinical chief information officer (CCIO), which was made to intensivist Dr John Lambert two weeks ago, was the start of strengthening that partnership. 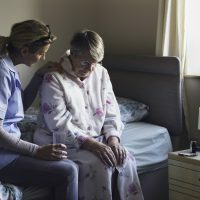 “One of the things we believed we needed to improve was a connectivity between where e-health was going in relation to its priorities and the clinical workforce,” Mr Walsh said. Following the release of the draft strategic paper, Mr Walsh said they would undertake a range of consultation across the state before finalising the plan, which would forecast the next areas of focus and investment that need looking at.